As city schools chief Paul Vallas grapples with a mounting budget crisis, he must also deal with the continual flight of his top advisers. Since Vallas arrived in Philadelphia from Chicago in July 2002, more than half a dozen of his handpicked advisers have left - including those he brought from the Windy City. The latest to depart is Tomas Hanna, an educator in Philadelphia schools for 18 years who became Vallas' guru of teacher recruitment and retention and who has been instrumental in making Philadelphia schools more attractive to teachers. Hanna, 42, worked his last day in Philadelphia on Friday and next month begins his new job as chief operations officer of the 25,000-student Providence, R.I., school district. "Paul and the commission have given me an opportunity to do some very meaningful work over the last four or five years . . . . As a professional, you ask yourself, given the opportunity to broaden your scope, can you do this elsewhere?" said Hanna, whose official title was senior vice president for human resources. 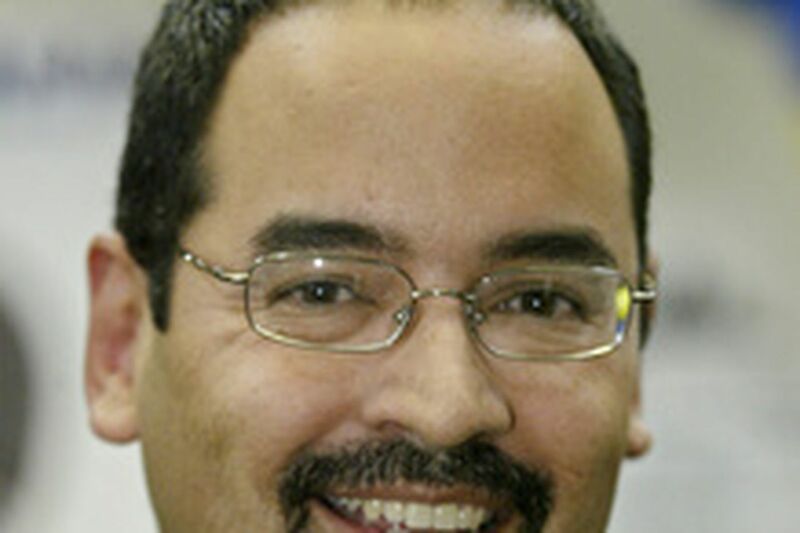 Hanna, the highest-ranking Hispanic in the Philadelphia district, said he is also looking forward to working in a district where 60 percent of the students are Hispanic, and where the city and school district are working together to reform the schools. "It's an exciting time," Hanna said. He started his 18 years with the district as a substitute teacher, progressed to a bilingual-education teacher, then was principal at three Kensington schools before serving in the central administration. Under Hanna, the district launched an ambitious Campaign for Human Capital in November 2002. Aided by business and community leaders, the campaign mixed new mentoring and training programs with bonuses and stipends to attract and keep qualified teachers. Now, just over 90 percent of new teachers remain with the district for at least one year, up from 73 percent five years ago. Meanwhile, teacher vacancies are down, Hanna said. This school year began with just 51 open jobs, down from 104 five years ago. Among Hanna's unfinished business is a teaching force that is not 100 percent highly qualified, as federal law requires. This year, 92.1 percent of teachers are in compliance with the law. Hanna said he was hampered by having to fire 750 teachers over the last several years for failing to pass licensing exams. "The job of teaching in a large urban district is really hard work, and it's not for everybody," he said. He will be one of three people who will report directly to Providence Superintendent Donnie W. Evans, Hanna said in an interview yesterday. Hanna said his decision to leave Philadelphia had nothing to do with the district's budget crisis. And the departure of other high-ranking district officials should not be viewed as a negative, he said. "Frankly, I think it's a point of pride and accomplishment that Paul's leadership begets other leaders. Paul taps talented people," said Hanna, whose interim replacement is Shawn Crowder, who had been executive director of employment entry. Vallas, who was in Washington yesterday, couldn't be reached for comment. * Natalye Paquin, chief operating officer, departed to become acting president and chief executive officer of the Kimmel Center for the Performing Arts. * Creg Williams, who oversaw high-school reforms as head of the secondary-schools office, left to become superintendent of St. Louis schools. * Michael Harris, chief financial officer, left to become a financial official at the University of Pennsylvania. * Timothy Spreitzer, special assistant to Vallas, now works for state Rep. Dwight Evans.